Best of the best, cream of the crop, or top of the line. However, you want to say it, Johnny Abbott, Long Distance Van Operator for Hilldrup Stafford, proves he’s just that time and time again. 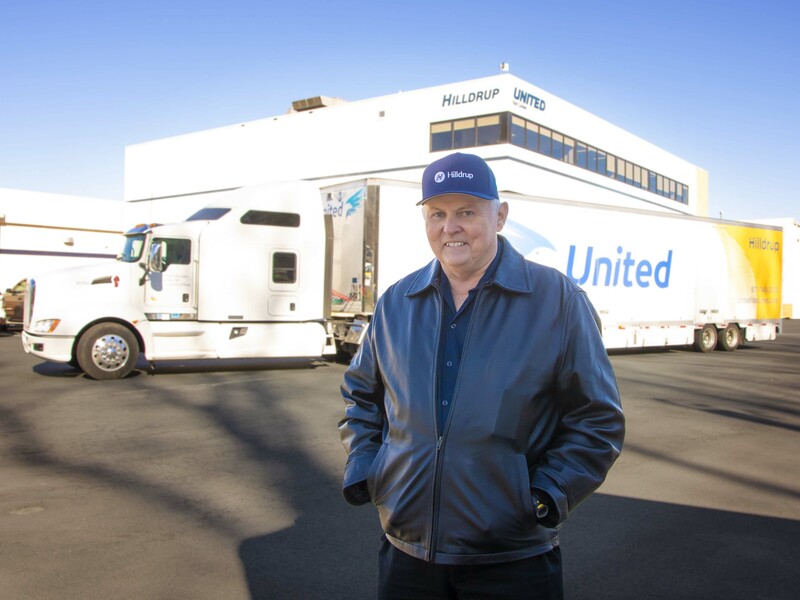 Recently, Johnny was recognized with the highest honor a Van Operator can receive from our van line by being named United’s Van Operator of the Year for 2019. Johnny’s rise to the top was quite a journey over the past year or so. 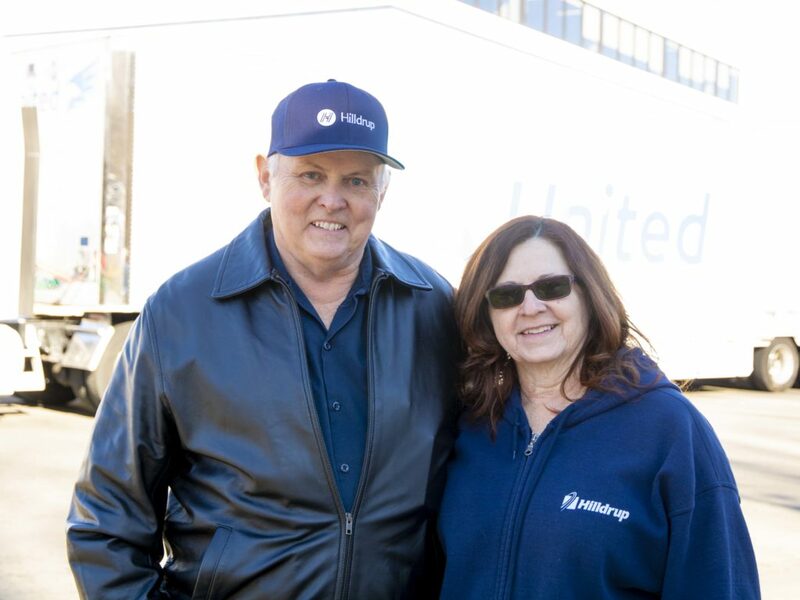 Johnny was recognized by UniGroup as a Runner-Up for United Van Lines’ Van Operator of the Month five times since December 2017. We couldn’t be more excited that the top award is now Johnny’s for the taking as it’s much deserved after months and years of hard work and dedication! As to what makes Johnny so successful, “I’ve been doing it so long, I guess,” he said with a laugh. But it’s that mix of confidence and humility that makes the move experience so pleasant for all who work with him. We recently caught up with Johnny to learn a little bit more about him both in and out of the driver’s seat. Hilldrup: You’ve had quite an exciting year with us, congratulations! How did you find out that you won and what was your reaction? Johnny: Thank you! Randy told me. I have to say though, I was pretty surprised (laughs). H: How long have you been driving and what does it truly take to be a successful van operator? J: Let’s see, I’ve been driving since 1978, so for over 40 years now. I think the best thing is to get with [an agent] who has been in the business a long time and knows what it takes. You have to be dedicated. There’s a lot of times you’re asked by a customer to do something extra for them and you always try to do it. You just take care of them. A good attitude is so important too; try to not let a bad day show. It’s all about customer service. You always want your name and company to be the first thing they think of when it comes time for them to move again. H: How do you think your customers would describe you? J: Professional, at least I try to be (laughs) and just always respectful. “Yes, sir… yes, ma’am” – it goes a long way. It’s always nice when people that you’ve moved before will request you; some customers through the years I’ve moved maybe 3 times or so. H: What’s your favorite part of your job? J: Meeting new customers every day, it’s always something different. You never really know what to expect. H: What are you up to when you’re not on the road? Congratulations again, Johnny; thank you for all that you do for Hilldrup and for those we move every day! Look out for more news on Johnny as he’ll be formally recognized in March at UniGroup’s 2019 Learning Conference in St. Louis. Johnny Abbott was recently recognized for his commitment to excellence and quality by Hilldrup Senior Management and before a crowd of employees at Stafford Headquarters. Many thanks to his wife, Alice Abbott, who supports Johnny in all that he does and ensures that things at home are taken care of while he’s on the road. Thank you both for all that you do!